To begin, my experiences with Crafting for a Cure began in grade seven, when I had just moved schools and a new friend of mine invited me over to make bracelets for her mother’s Charity. At the time, I knew absolutely nothing about Crafting for a Cure, but after crafting and listening to my friend’s mother, Pamela Bielak, explain why Crafting for a Cure was created, and how easy it was to get involved, even at just 12 years old, I knew I had to get started immediately. Flash forward to present day, six years later, to my peers and parents asking me yet again, “Why do you spend so much of your time volunteering?” When faced with this question, I respond very sincerely that the main reason why I continue to dedicate time as well as effort , and don’t plan on stopping anytime soon is because I whole heartedly believe in what Crafting for a Cure stands for. I believe that my vision and the founder’s vison are the same in the sense that we both believe childhood is the most precious time in one’s life, and no illness should have the ability to ruin it. Crafting for a Cure is the only charity that I know of that allows me to physically go into a hospital and quite literally “turn a frown upside down”. Every time I go visit the children’s ward, or the teen mental health ward, I know that I am making a positive difference in somebody’s day, and I can even craft while I’m at it. Now there is also a more personal reason as to why I dedicate so much time to Crafting for a Cure, and this is a reason that I usually don’t share. One of the reasons why volunteering and dedicating time specifically to the teen mental health ward has become so important to me is because someone very close to me was recently diagnosed with a mental illness. After the diagnosis, my view and understanding of mental illnesses and how they affect people completely changed. I can honestly say that previous to this, volunteering with the teen mental health ward was not my favourite event, as I was shy and felt like the teens, who were around my age, wouldn’t like me because of that. But after working through the mental illness with this person for years, and knowing that many people have to work through their own mental illnesses alone, I knew I had to do something to help. I knew that all mental illnesses deserved a lot more attention than they were getting, and I began volunteering in with the teens despite my fears and anxieties. I still very much love children and crafting with them, but my time with the charity has increased ever since I realized the necessity of crafting and creating that positive change in teens with mental illnesses. In learning about mental illness, and having to visit the hospital many times due to my family, I realized that with my privilege of not suffering through illnesses, it is my duty to help those who are in any way that I can. And that in itself motivated me tremendously, as it would make me think “If I were a little child, or a teen suffering from a mental illness, wouldn’t I want someone to come in and cheer me up, or to send me a card, or a surprise gift?”. So that is just another reason as to why I have kept volunteering with Crafting for a Cure throughout the years and why I know that I must continue. Now, although everything stated previously plays a tremendous part in why I spend a lot of my time volunteering with Crafting for a Cure, I would be lying if I said the other wonderful opportunities that Crafting for a Cure has to offer didn’t excite me as well. Through Crafting for a Cure, I have been able to travel and deliver craft kits and supplies to a school for children with disabilities in the state of Michigan, and I have taught University students how they can craft and bond with children at their local hospitals at Western University. I was even a part of a team of volunteers that participated in raising donations as the Creative Festival at the Toronto Metro Convention Centre, as well as the Made by Hand show in Toronto and Hamilton. What made these events amazing was the fact that I was allowed to run crafting tables and teach as well as craft with people of all ages. Moreover, I have been offered opportunities of running hospital visits along with teams of volunteers, which have increased my level of confidence, my ability to work with others, and my communications skills. Anyone that knew me in grade seven, at the very beginning of my volunteering experience, knows that I used to be very shy and reserved. Now, six years later, I am confident, outgoing, and a future business student attending the Schulich School of Business at York University, a feat that I had only ever dreamed of. So yet another reason why I can’t help but dedicate my time to Crafting for a Cure is because this charity has not only helped the children and teens that so desperately need some form of distraction, but it has also helped volunteers like me, grow into the people we’ve always wanted to become. In addition to everything that Crafting for a Cure has offered me, there is one experience that is favoured above all other. A couple of years ago, on Christmas day, I along with another volunteer and Pamela the charity’s founder, visited the Children’s unit of a local hospital. In this unit there were a couple of younger children that were excitedly crafting with us, and then there was a little girl in a wheelchair with an IV pole attached who was silently crying and frowning every time the nurse tried to cheer her up by involving her in the craft. After helping the other children who had arrived beforehand, I walked over to her and tried involving her in the craft myself, despite the nurse’s warnings of her ill mood that day. I remember sitting down next to her at the table and picking up the Christmas decorative globe, as that was the craft we were doing, and asking if she wanted craft with me, as I offered her the globe. At first she just looked at me, not really saying anything, but not taking the globe either, yet I knew that I was not going to leave her there, sad on Christmas and whilst being surrounded by happy giggling children.. Consequently, I made a deal with her, stating that I would physically make the craft as long as she told me how she wanted it to be made. The experience continued, me asking which colours of glitter she wanted to add, which stickers she wanted to put on, and near the end of the craft she even asked to put some stickers on herself! Although I’m extremely happy that she ended up crafting with me, what made this a truly unforgettable experience was the change in her demeanor, the fact that she was no longer sullen, hunched over in her wheelchair, but smiling and giggling like the other children. When the nurse came up to me after, thanking me and asking me how I was able to get her to smile as apparently she hadn’t smiled in a while, I was astonished. Before that day, the thought of my own work having the ability to make such a vast difference towards these children had seemed impossible, but I was proved wrong that day. When the nurse took the time to personally thank me, it opened my eyes to see that, through the artistic power of craft, I had contributed to changing that little girl’s attitude and that’s a feeling that no words can describe. After this experience, I was motivated to volunteer more than I had ever been, as for the first time, I really felt like I played a significant part in creating change, no matter how small. This experience also reiterated what I had realized earlier; that I can’t stop my volunteer work with Crafting for a Cure because there will always be children like this little girl, and it is my job, as someone who has been lucky enough not to have to go through such illnesses and pain, to create even an ounce of happiness in those who do. Now as much as that experience has motivated me, I believe that future volunteers can become just as motivated as long as they fully understand what Crafting for a Cure is all about. Thus, I would begin promoting the charity to them through a breakdown of what Crafting for a Cure stands for, from my own experiences. 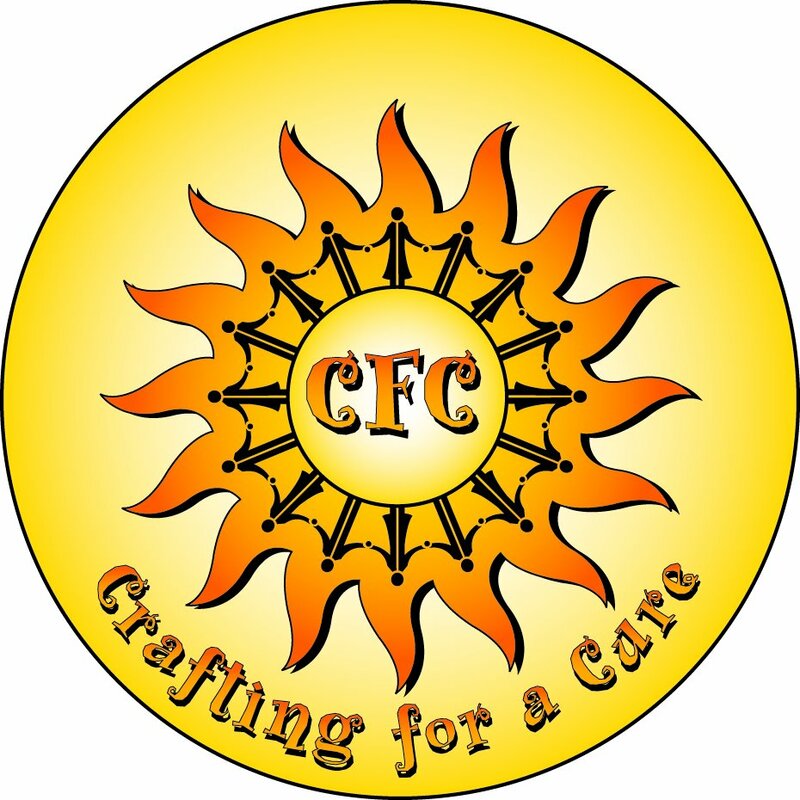 For me, Crafting for a Cure is a unique charity that allows volunteers to make a difference in a child that is suffering from an illness’s life in the most fun and creative of ways; through crafting! And not difficult crafts that only Pinterest users can do, but crafts that people of all ages can enjoy. I would then mention that volunteers can craft with children and create a bond that they will remember forever, like I did in my experience, or they can create craft kits that they know will make a child in a local hospital, or even one in Kenya extremely happy. I believe that in order to entice future volunteers, I would have to connect with them on a personal level, so I would also mention that Crafting for a Cure has provided me with some of the most memorable and best experiences of my life. Through Crafting for a Cure I have been able to travel all around to help these children. From my trip to Michigan where I visited a school for children with disabilities to London, Ontario where I helped other teams of volunteers learn how to craft and interact with the children in the hospital. Now if creating positive change for the people that deserve it the most is not enough, there is even more that Crafting for a Cure has to offer. All volunteers at Crafting for a Cure work as part of a team, and that team is made up of people who share the same vision and eagerness to put smiles on the faces of children suffering through pains and illnesses that no one should ever have to go through. Through our similar passions and bonding that comes with the volunteering experiences, volunteers can make friends and get to know a variety of new and interesting people. As long as future volunteers understand the impact that they can have by volunteering with Crafting for a Cure and all the amazing opportunities that are open to them though crafting and teamwork, that only Crafting for a Cure has to offer, there is no way they won’t want to volunteer. 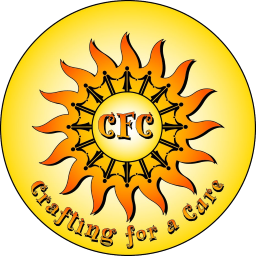 By informing future volunteers about the vast impact, opportunities, and various skills that can only be offered by volunteering with the Crafting for a Cure family, they would not be able to refuse! Although Crafting for a Cure needs volunteers, people that can support and donate to the charity are extremely important as well. But in order to gain those supporters, it is crucial that the public understands why they should support Crafting for a Cure. I think Crafting for a Cure is a charity that truly deserves support because it is continuously creating happiness among children who may be feeling like their world has come to an end. Of my personal experiences, most of the children that I have crafted with are not happy to be in the hospital, so it is up to the team of volunteers that visit these hospitals on a monthly basis to distract them from their illness and bring joy to their stay. Now another question that people raise is “why shouldn’t I just donate to charities that research cures for diseases like cancer, so that children don’t have to stay in the hospital in the first place”. While it is true that researching cures is extremely important, it is also true that until those cures are found, simply ignoring the miserable children that are cooped up in hospital rooms instead of being at home with their families is not a solution. And people often overlook this aspect, but it is actually what makes Crafting for a Cure a unique, and significant charity. It only takes some construction paper, some crayons, stickers and some glue, for a child to be distracted from the hospital setting. Yet, as simple as those materials may seem, the concept of craft kits had never been done before the founder of the charity, Pamela Bielak, realized the impact that they could have on these children. Unfortunately, in order to get those craft kits to over 80 hospitals all across the world, it costs about $5000, and that cost is constantly increasing as more and more hospitals are asking for Crafting for a Cure to help them out too. So that goes to show how extremely important it is that people support Crafting for a Cure, and continue to help the charity through donations. Furthermore, I’d also like to raise awareness to the importance of Crafting for a Cure’s continuous involvement with teen mental health wards. As explained to me through many nurses, and other authority figures within the Charity, teens suffering from mental illnesses in hospitals are not getting the attention they deserve in terms of receiving that same distraction that could even help their healing process. 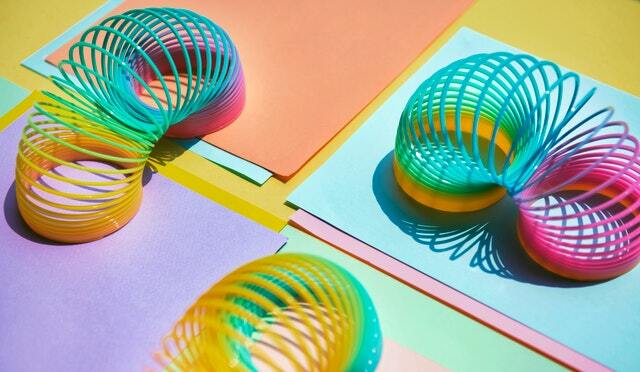 For this reason, Crafting for a Cure makes sure to specify that although the arts and crafts supplies can be used in the children’s ward, a portion of our donation must be given to the Teen Mental Health Ward. As a volunteer I have gone to the teen mental health ward a hospital in Oshawa to deliver arts and craft supplies and to make sure that all previous shipments were distributed properly. Having said all of this, it is clearly evident that Crafting for a Cure is a remarkable charity that deserves recognition for all that it has achieved. The fact that it is completely non-for-profit only adds to how incredible this charity really is, and how much appreciation as well as support it truly deserves. In summation, Crafting for a Cure is an extraordinary charity that I am immensely proud to be a part of. I hope that the charity only grows in success and the amount of volunteers that can carry on the amazing programs Crafting for a Cure has created increase. My experiences with crafting for cure have been tremendous, and I can’t wait to create new crafts, maybe even new programs with Crafting for a Cure in the future.